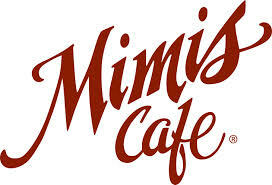 Mimi’s Café had a need to use simulation modeling as a tool for enhancing and evaluating the existing design and decision-making process. Bob Evans, the parent company of Mimi’s Café, is a publicly traded restaurant that retails food products organization with operations across the country. Historically, kitchen operations improvement efforts have been developed through the use of kitchen “mock-ups” at an existing restaurant which is labor intensive and slow to implement. Mimi’s wanted a simulation platform of base restaurant operations that could be used to investigate the use of simulation in evaluating different layouts, recipe/processes and menu mix scenarios. Development of an accurate computer simulation model of their back-of-house kitchen operations (two major layout variations). Ticket Time Reductions: The model demonstrated how food order delays could be reduced by up to 10 minutes during peak periods through the redesign of the order handling system. Layout Evaluation: The model identified the “best” kitchen layout configuration option (quantified benefits). Equipment Comparison: The model identified the impact of upgraded kitchen equipment on the ticket times, ticket backups and food quality. Labor Evaluation: The model quantified the potential benefits associated with adding a “floater” cook during peak periods of the day/week.